Bleakrock is an island off the northeast coast of Skyrim between Windhelm and Solstheim. The hardy Nords who inhabit Bleakrock are mostly farmers and fisherfolk. A small contingent of Pact soldiers keeps a sharp lookout for pirates and raiders. Bleakrock Isle is a small, barren island in the sea northwest of Morrowind, just to the south of Solstheim. Sparsely populated and far off any major trade routes, it is garrisoned by only a small Ebonheart Pact force to watch for enemy ships. Since the beginning of the Three Banners War, bandits began appearing in Bleakrock, and many citizens begun to carry around alabaster whistles to sound when they require aid. The island is where Ebonheart Pact players begin their journey after escaping Coldharbour. 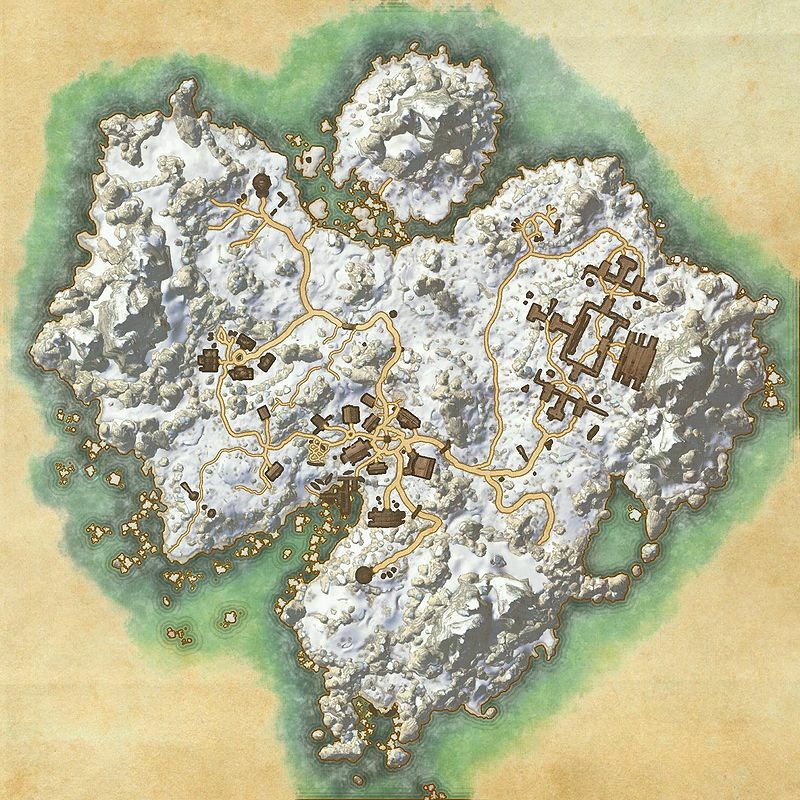 Over the course of the Pact questline, you will assist Captain Rana in locating Bleakrock's missing villagers, and subsequently evacuating them in the wake of an attack by the Daggerfall Covenant. A Beginning at Bleakrock: Travel to Bleakrock Isle to help those who saved you from the sea. Hozzin's Folly: Investigate a bandit camp near an abandoned mine once used for Daedra worship. The Frozen Man: Save a villager from the clutches of an insane ghost. What Waits Beneath: Defeat the necromancer in Skyshroud Barrow. The Missing of Bleakrock: Scour the island for villagers to prepare for evacuation. Sparking the Flame: Fight your way to the signal fire to warn the mainland of the attack by the Daggerfall Covenant. Escape from Bleakrock: Use an ancient tomb to escape from the attacking Covenant forces. 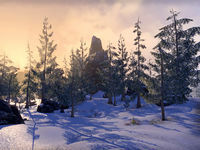 At Frost's Edge: Raid a bandit camp on Bleakrock Isle. Tracking the Game: Track and kill a monster bat. Underfoot: Rescue three villagers who have been turned into skeevers. This page was last modified on 12 June 2018, at 03:50.